Hi, I’m Reed Bloodworth, the founding partner of Bloodworth Law, PLLC, located at 224 East Marks Street, Orlando, Florida 32803. 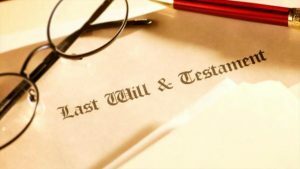 Today I wanted to discuss an issue that I commonly see in my practice and that is should you sue family over a will or trust? 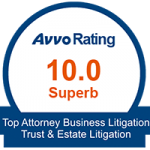 In trust and probate litigation emotions often run very high. A family member has just died and now decisions have to be made. Sometimes my clients are surprised to learn that decisions were made that did not include them. These decisions refer to the decedent’s will or trust. My clients are sometimes very surprised to find out that they are not beneficiaries of those wills or trusts despite being told they were going to be or being led to believe they were going to be. Should You Sue Family Over a Will or Trust? This kind of leads into the next very important question. Should I file a lawsuit and go to court against a family member? My clients often come to me and say I know something was wrong. I felt in my heart that something was wrong. And they’ve seen things that were upsetting to them. A lot of times my clients say they find that the person who became the sole beneficiary, or the primary beneficiary of the will or trust, was verbally abusive to the decedent. Or, that someone would isolate the decedent from their family members. Another common occurrence is that the person who became the primary beneficiary of that will or trust held a significant mental ability higher than the decedent. These are the types of cases my practice sees every day. If you can relate to this situation, give me a call. Let’s talk about what happened to you. Again, I’m Reed Bloodworth, the founding partner of Bloodworth Law, PLLC.